Isaiah continually sought to remind his beleaguered people not to lose faith. The mission statement of the Jewish people to be a “light to the nations” (Isa. 42:6) had not expired. Nor has it today, and the message of hope of this ancient prophet remains the path forward in our fearful and violent world. Admittedly, Isaiah’s vision might seem overly optimistic, perhaps even naïve. After all, are we any closer now to having “the wolf and the lamb … graze together” than we were thousands of years ago? The path to peace is as troubled in modern Israel as it was in ancient Israel. Since the state’s founding, the nation has fought five major wars, numerous battles, and countless uprisings. And yet peace may not be as illusive or elusive as we might think. Sometimes it comes from the most unlikely places. In November 1977, Egyptian President Anwar el-Sadat shocked the world by announcing “I am ready to go to the end of the world to get a settlement. 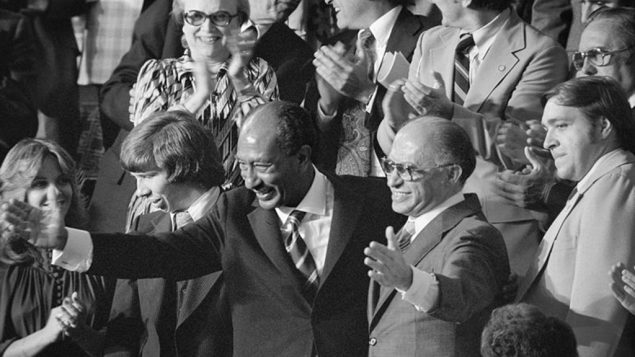 I am even ready to go to Israel, to the Knesset, and to speak to all the members of the Israeli parliament there and negotiate with them over a peace settlement.” Sadat predicted that the Israelis would be stunned by his offer, and they were. But to his and all of Israel’s credit, the newly elected Prime Minister Menachem Begin, known for his right-wing, hardline political views, welcomed the man who only four years earlier had launched the bloodiest war in Israel’s history. The ancient Jewish people gave the world the vision of eternal peace, of universal disarmament, of abolishing the teaching and learning of war. Despite the tragedies and disappointments of the past, we must never forsake that vision, that human dream, that unshakable faith. Peace is the beauty of life. It is sunshine. It is the smallest of a child, the love of a mother, the joy of a father, the togetherness of a family. It is the advancement of man, the victory of a just cause, the triumph of truth. Peace is all of these and more, and more. Now is the time for all of us to show civil courage in order to proclaim to our peoples, and to others: no more war, no more bloodshed, no more bereavement—peace unto you. Shalom, Salaam—forever. Yitzhak Rabin and Shimon Peres, along with Yasir Arafat of the Palestinian Liberation Organization, signed a peace agreement the same year, for which they also were awarded the Nobel Peace Prize. That agreement, however, has not fared as well; Israelis and the Palestinians have yet to find the path to peace. All my long life, my people and my country have known only violence and bloodshed. I tremble knowing there is more…. Yet woe is the one who thinks the children of the covenant are forsaken. A time of peace will come, a time of harmony among men. Even the beasts of the field shall know the tranquility of the Lord. After the flood … the sun … and the rainbow. This past April 4th marks the 50th anniversary of the assassination of Martin Luther King, Jr., and the religious legacy of the civil rights leader was the subject of an article published on April 2nd in the Deseret News, which identifies itself as, "first news organization and the longest continuously-operating business in the state of Utah," and is owned by the Mormon Church. What does this have to do with Congregation Adas Emuno of Bergen County, New Jersey, you may ask? 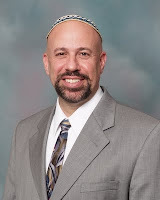 The answer is clear enough: Rabbi Barry L. Schwartz, our spiritual leader. The Rev. Martin Luther King Jr. is a silent participant in every meeting held in Calvary Baptist Church's conference room. He stares down at those gathered from three of the room's four walls. The Rev. France Davis, Calvary's longtime pastor, chose this repetitive decor, in part, to honor the Rev. King's role in his life. His ministry career, which spans more than four decades, grew out of his experiences fighting for a better world alongside the Rev. King. "That's what I've been doing all my life: trying to change laws, to make sure all people are treated equally," the Rev. Davis said. But the portraits and pictures of the pastor and civil rights leader in the conference room don't just acknowledge the past. They remind church members to dream big dreams for the future, presenting the Rev. King as a symbol of what's possible when faith is put into action. "He's an example of how to bring about positive change," the Rev. Davis said. It's not just religious Americans who see the Rev. King this way. Fifty years after his assassination on April 4, 1968, he's hailed as an American hero, held up as someone whom all political activists should emulate. The Rev. King's broad appeal sometimes troubles the faith leaders who knew him and continue to draw inspiration from him. They see his quotes used to support secular political goals or hear his voice during a truck commercial and worry Americans are forgetting the deep faith that anchored his activism. "It's legitimate to quote him in the most general of ways, but I don't think we should forget that he was an example of religious faith at its best," said Rabbi Barry Schwartz, author of Path of Prophets: The Ethics-Driven Life, which was published on March 1. A nice plug for our rabbi's new book! The Rev. King brought the Bible alive for participants in the civil rights movement, never ceasing to be a pastor even as he took on other roles, the Rev. Davis said. "He was trying to get people to put feet to their beliefs, to make their beliefs practical in terms of the way they went about their daily lives," he said. The Rev. Davis first heard about the Rev. King's work when he was 15 or 16. He knew Christians were called to serve their neighbors, but his energy was lacking. "I understood that to be the need, but I didn't feel empowered to do it," said the Rev. Davis, who grew up in rural Georgia. The Rev. King's impassioned speeches brought about a change of heart. The Rev. Davis began to see his belief in God as a reason to take action, not just to pray and sit in church on Sunday. "They were inspirational in every way. They caused those who heard them, me included, to want to act," the Rev. Davis said. The Rev. King wasn't preaching something new. He was continuing the work of others who'd emphasized the social gospel, or the belief that people of faith should try to build a more just society, not just save people's souls, said Clayborne Carson, founding director of the Martin Luther King Jr. Research and Education Institute at Stanford University. "The social gospel really had its roots in the United States … in the late 19th and early 20th century," he said. Members of the early social gospel movement sought to protect workers during the rapid industrialization of the U.S. They fought for better working conditions and fair pay, turning to the Bible for spiritual nourishment and the motivation to act. The Rev. King carried the spirit of this activism into the civil rights movement, presenting the fight for racial equality as a deeply spiritual pursuit. He faced pushback for this approach, including from within the National Baptist Convention, which his grandfather helped found, Carson said. "The elected leader of the National Baptist Convention opposed King and felt that the role of the pastor is to try to achieve salvation for members of the congregation and that the church shouldn't really be focused on social issues," he said. However, many others, including Jews and other non-Christians, were receptive to his message. The Rev. King energized old teachings, inspiring believers like the Rev. Davis to live out their faith in new ways. For some Jewish leaders, this meant proclaiming God's calls for justice all the way to jail, said Rabbi Schwartz, who leads Congregation Adas Emuno in Leonia, New Jersey. His own rabbi was one of 16 arrested in St. Augustine, Florida, in 1964 after joining the Rev. King there to rally for racial equality. "There was a history of activism" in many religious traditions, he said. "But King was the singular figure who could galvanize their social-justice work." The Rev. King drew on the Old and New Testaments in his sermons and public addresses, which helped him unite Jews and Christians, said Susannah Heschel, a professor of Jewish Studies at Dartmouth College. "If you look at his major speeches, he quotes (the prophet) Amos more often than Jesus," she said. He learned this approach in the black churches of his childhood, she added. African-Americans took comfort in and felt empowered by the Old Testament stories of prophets seeking justice and the Israelites escaping slavery in Egypt. Heschel's father, Rabbi Abraham Heschel, also influenced the Rev. King's biblical engagement. The Rev. King carried a copy of Rabbi Heschel's book, The Prophets, in his pocket during marches, and it gave him strength to bring a prophetic voice to racial conflict. "The prophets remind us of the moral state of a people: Few are guilty, but all are responsible," Rabbi Heschel wrote. "To a person endowed with prophetic sight, everyone else appears blind." The Rev. King wed the prophets' radical acts of service with Jesus Christ's teachings in the New Testament, the Rev. Davis said. "His message was clearly one about love based on New Testament theology and teachings, but his examples of showing love were from the Old Testament," he said. "He was masterful in weaving the two." But this mastery often goes unnoticed in contemporary celebrations of the Rev. King, the Rev. Davis added. People are content to applaud his charisma, rather than understand the theological and historical claims anchoring his speeches. "We gravitate toward the rhythm and the sound as opposed to the message being communicated," he said. For example, most Americans are familiar with the Rev. King's dreams in his "I have a dream" speech from the March on Washington. He dreams that his children will be judged for their characters, not the color of their skin. He dreams that white children and black children will one day be able to join hands in Alabama. Fewer people can recall earlier parts of the speech, when the Rev. King recounted unfulfilled promises made to black Americans when the country was founded and assured his followers that "unearned suffering is redemptive." "With 'I have a dream,' everybody knows the last part of that speech, but earlier is where the meat is," the Rev. Davis said. To truly understand the Rev. King's revolutionary work, you have to grasp how central the Bible was to his activism, Rabbi Schwartz said. "He was motivated by general ideas of justice, but, at the same time, he was coming from a Judeo-Christian perspective," he said. Heschel was active in the Jewish community throughout her childhood, attending Hebrew school classes and learning to interpret the Bible. Like the Rev. Davis, she knew what she was supposed to be doing, but she wasn't particularly excited to be doing it. “I didn’t like Hebrew school. I found the way the Bible was taught to us to be very dull," she said. The Rev. King's friendship with her father changed everything. He brought the words of the biblical prophets alive, showing Heschel the value of learning them. “King changed my life and gave me a love of the Hebrew Bible and a love of the prophets," she said, crediting the Rev. King with inspiring her to become a professor of religion. The Rev. Davis offered similar praise, explaining that he's modeled his ministry after the Rev. King's work. Each week in his sermon at Calvary Baptist, he urges his congregation to go out into the world and improve it. He preaches on the importance of serving others and tries to lead by example, promoting policies like fair housing and Medicaid expansion. "I'm one of his disciples in that sense," he said. When the Rev. Davis learned of the Rev. King's assassination, he knew there were plenty of people like himself to continue proclaiming the Rev. King's prophetic message. However, he worried about the loss of a man who encapsulated the entire struggle for civil rights. The movement would persist in pieces, rather than a unified whole. "I was concerned that it was piecemeal—one person talking about this and one person talking about that," the Rev. Davis said. Reflecting on the state of faith-based activism today, the Rev. Davis said he's come to appreciate this piecemeal approach. He likes that some houses of worship specialize in feeding the hungry while others expertly lobby legislators for fairer policies. The Rev. King's legacy is alive in many places at once, he said. "When (this activism) was done by one person, it was localized to a particular area. … With a number of different people, it can be in several places," he said. The Rev. Davis wants visitors to know that Calvary Baptist is one of those places, so he put a small model of the Rev. King's Washington, D.C., memorial on the church's reception desk. Arms crossed, the miniature Rev. King stares sternly out at new arrivals from under a large green plant. "With Dr. King, you knew you were in the presence of greatness," the Rev. Davis said. 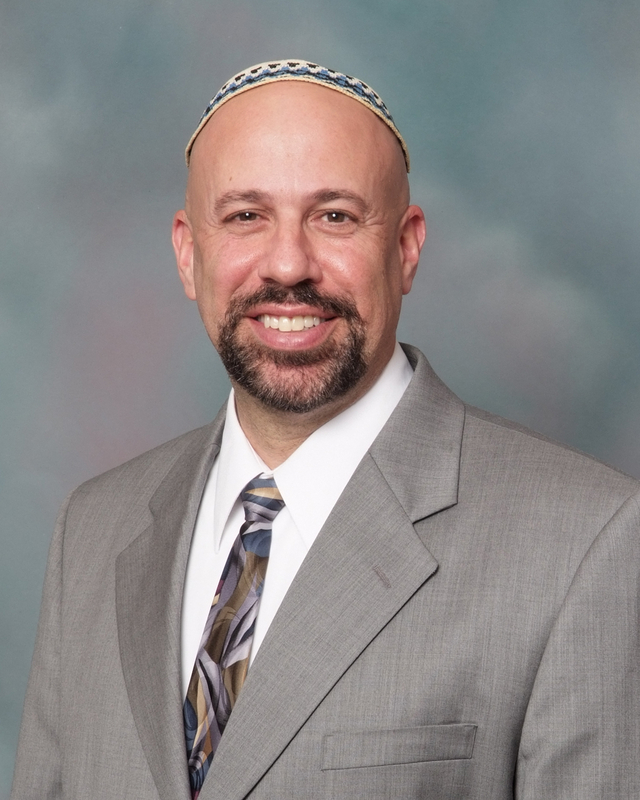 It is certainly an honor to have our rabbi, and our congregation, included in an interfaith article on so important a topic, published all the way out in Salt Lake City, Utah! The Last Jedi is one of the best, if not the best, of the Star Wars cinematic series that first exploded onto theater screens in 1977. 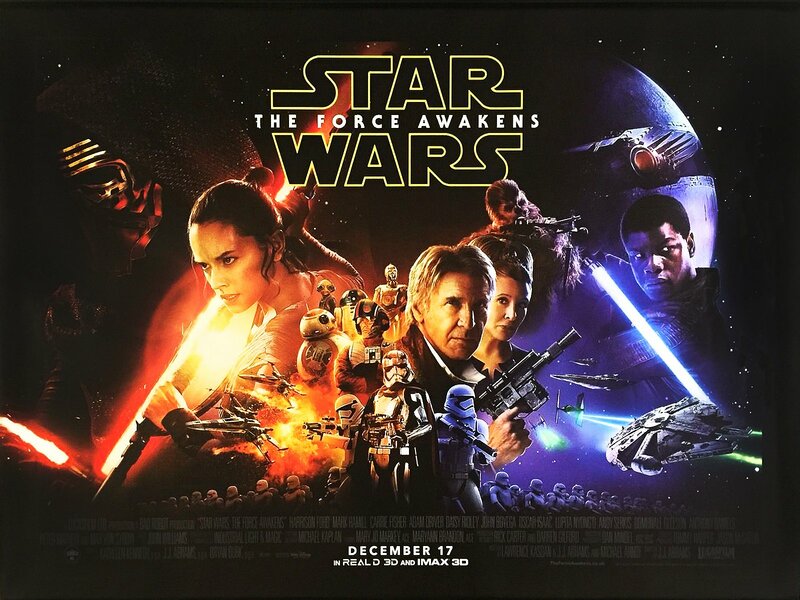 The film franchise, originated by George Lucas, was sold to the Walt Disney Company in 2012, and revitalized in 2015 by the first installment in the new trilogy, The Force Awakens, directed by J.J. Abrams. 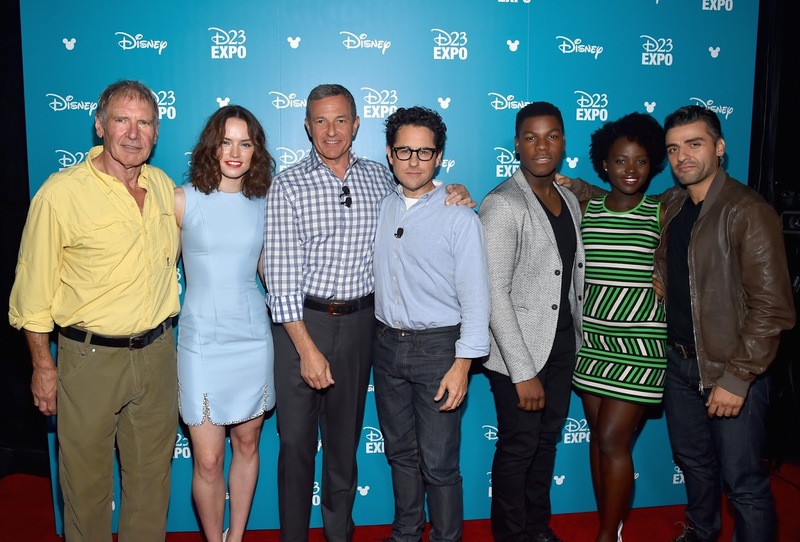 Although it was a huge commercial success and generally well received, many fans were unhappy with the shift to a more progressive outlook in The Force Awakens, and expressed dissatisfaction with the casting, which deviated from the previous films, which were all but monopolized by white males. In this new trilogy, the lead heroic role of Rey is given to a young woman, while another main character is played by a young African-American man. Even when the sentiments expressed were not overtly racist and sexist, those undercurrents were apparent, especially given that the plot of The Force Awakens was quite consistent with the original Star Wars film. 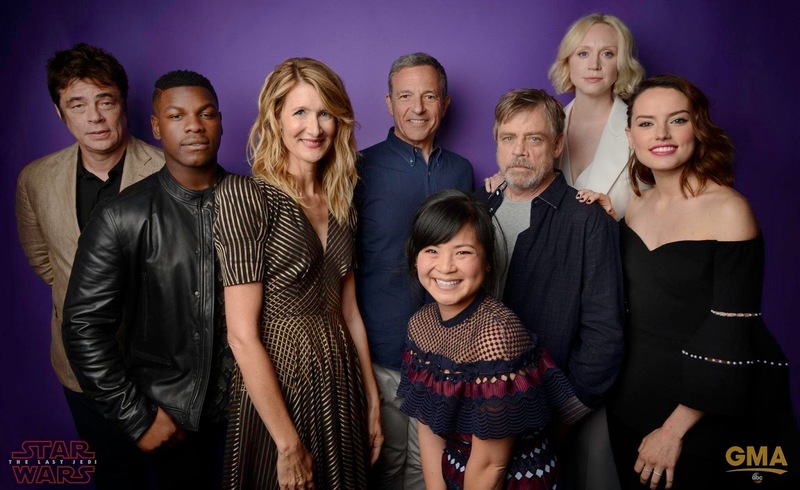 The Last Jedi, directed by Rian Johnson, extended the new sensibility by highlighting female leadership, including the late Carrie Fisher as the leader of the resistance and Laura Dern as a self-sacrificing admiral of their decimated fleet, while introducing a significant new character played by Kelly Marie Tran, the child of Vietnamese immigrants. Consistent with this move toward greater diversity in casting, the film also emphasized the progressive theme of breaking with the past. I felt a torrent of anger I haven’t known since gazing at the calamity that was Jar-Jar Binks. 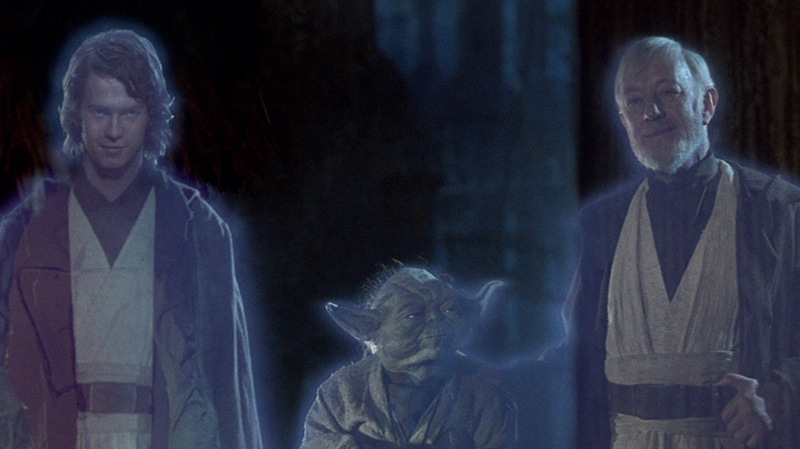 That’s because the movie, while otherwise engaging and enjoyable, introduced a radical new take on the Jedi religion. Call it Reform Jediism. for American Jewish audiences… The Last Jedi can feel almost like a documentary, a sordid story about a small community eager to trade in the old and onerous traditions for the glittery and airy creed of universalist kumbaya that, like so much sound and fury, signifies nothing. As a Reform Jew, I am deeply offended by Liebovitz’s disdain for those of us who practice a form of Judaism different from his own. And I have to wonder what it is about us that makes him so afraid. In the words of the Jedi master Yoda, who presumably represents Liebovitz’s idea of Orthodox Jediism, “Fear is the path to the dark side. Fear leads to anger. Anger leads to hate. Hate leads to suffering.” Don’t we know this to be true? Isn’t our world big enough for different forms of Jewish worship, different modes of Jewish identity? Does he really want to open up an irrevocable schism in the Jewish population? 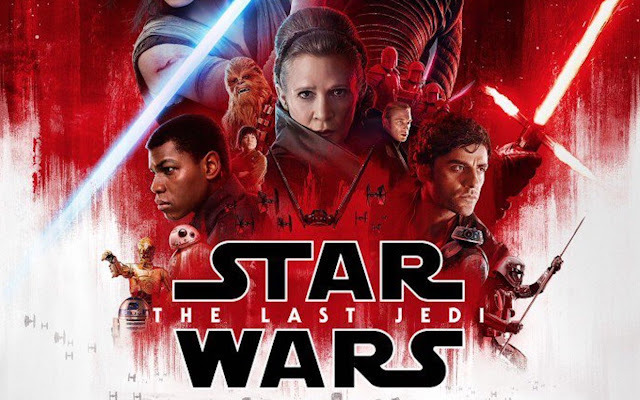 Responses from readers both sympathetic to his general outlook and supportive of the Reform movement have taken Liebovitz to task for misinterpreting the meaning of The Last Jedi, ignoring important details in the film or just getting them wrong, forcing facts to fit his views instead of vice versa. For my part, I find the entire conversation absurd. Its original sin is Liebovitz’s equating Jew and Jedi. The Star Wars universe was created by George Lucas, who was raised a Methodist. The film’s underlying Christian sensibility is apparent in its emphasis on a savior figure. In the original trilogy, the messianic character is Luke (evoking the Gospels) Skywalker (paralleling walking on water). In the prequels, Anakin Skywalker is born via immaculate conception on the part of the Force and identified as the “chosen one” of prophecy, before falling from grace and becoming the equivalent of the Christian Satan, Darth Vader. 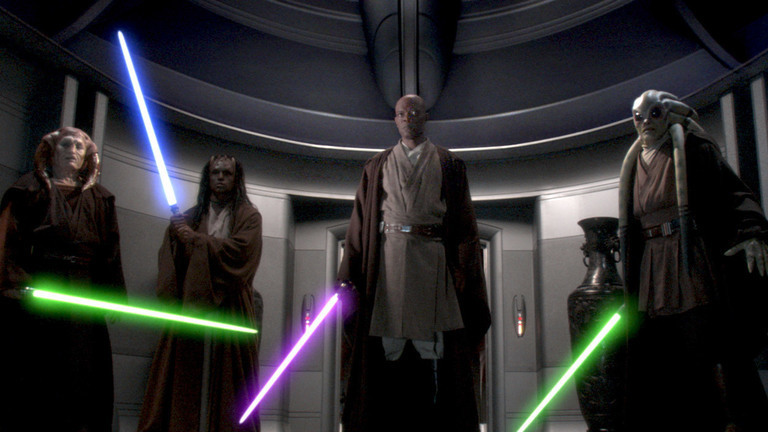 The Jedi are referred to as an “order” rather than a religion. Judaism does not have any orders, but there are many within the Catholic tradition (e.g., Jesuits, Dominicans), as well in as other forms of Christianity including the Methodists, and also within Buddhism, a major influence as well on Lucas and his creation. The Jedi Order is monastic. Worldly attachments—notably marriage—are forbidden; that’s a rule also associated with Christianity and Buddhism. A fully trained Jedi is referred to as a knight, and Jedi knights are all but invincible warriors, in some ways modeled after Japanese samurai, but also after holy paladins, not unlike the Arthurian knights of the roundtable in search of the Holy Grail of Christian legend. 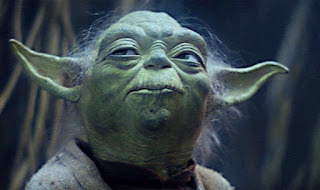 Jedi also are much like priests, Christian or Shaolin, with a direct connection to the godlike Force, one that ordinary people lack. They are nothing like the great rabbis of Jewish tradition, learned sages who study and interpret our sacred texts. The Christian sensibility of Star Wars is especially apparent in its valuation of redemption and forgiveness. 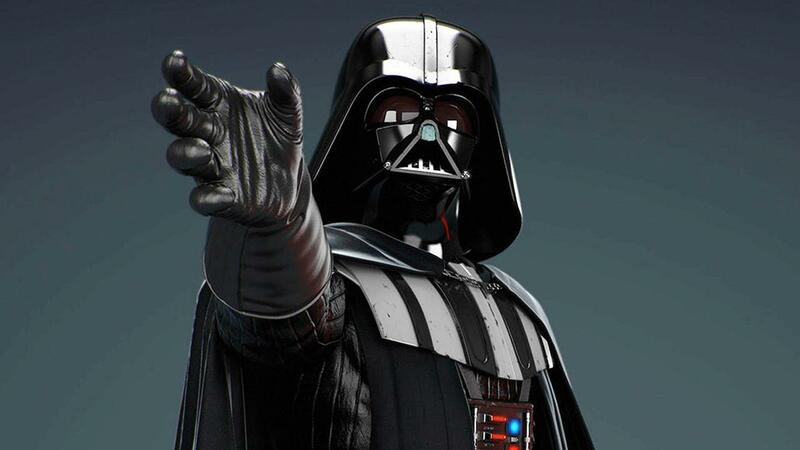 At the end of the original trilogy, Luke is able to convince his father, Darth Vader, to turn on his master, the evil emperor. Luke insists that there still is good in Vader, and this final act allows Vader to die in a state of grace, and to appear in ghostly form alongside the good Jedi who have also left the earthly plane. But the fact remains that Vader was guilty of untold atrocities, including destroying an entire planet in the first Star Wars film. In The Force Awakens, Kylo Ren is introduced as essentially worshipping Darth Vader as well as following the evil Supreme Leader of the First Order, and engages in acts of patricide and mass murder. In The Last Jedi, Rey tries to turn Ren away from the dark side, just as Luke did with Vader, saying that it’s not to late for him. The idea that you can be forgiven for all of your sins as long as you repent in the end has its origins in Christian theology, whereas in our tradition, as expounded by Maimonides, some sins are so heinous that no forgiveness or redemption is possible. I don’t mean to imply that Star Wars is based only on Christian elements. Lucas weaved together a variety of influences, including Buddhism, Japanese samurai films, westerns, World War Two movies, old movie serials such as Flash Gordon, and Joseph Campbell’s notion of the hero’s journey (itself more consistent with Christianity than Judaism). What I want to emphasize is that Star Wars does not reflect Jewish sensibilities, and does not make for a good analogy with contemporary Jewish life. We still can appreciate and enjoy the movies, which above all are entertaining. But we also ought to be aware of Lucas’s failings as a storyteller. His movies have been criticized for portraying democratic institutions as weak and ineffectual, supported only by the elitist Jedi. Only a few people exhibit the force sensitivity needed to become a Jedi, and that trait is inherited rather than acquired through hard work or ethical conduct. Lucas drew on many stylistic elements from the World War II era, some in disturbing fashion. For example, the final scene of the first Star Wars movie is based on a scene from the Nazi propaganda film Triumph of the Will. Worse, in the prequel trilogy, Lucas drew on offensive ethnic stereotypes, trying to displace them onto alien beings. 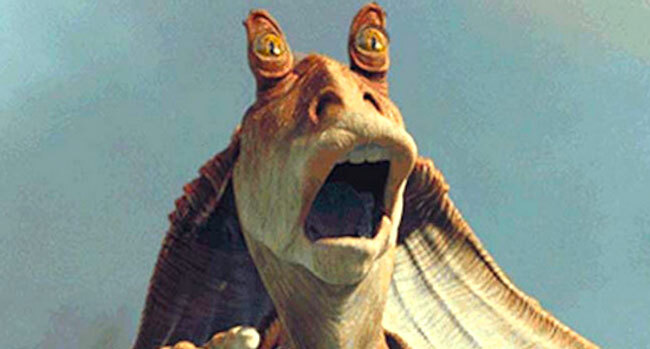 The character of Jar Jar Binks, whom Liebovitz and many other fans criticized for being too silly, was based on African-American Stepin Fetchit stereotypes, with a Jamaican/Rastafarian speech pattern. 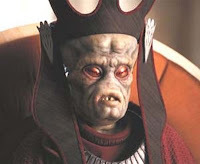 The leaders of the evil Trade Federation were based on East Asian “yellow peril” stereotypes. 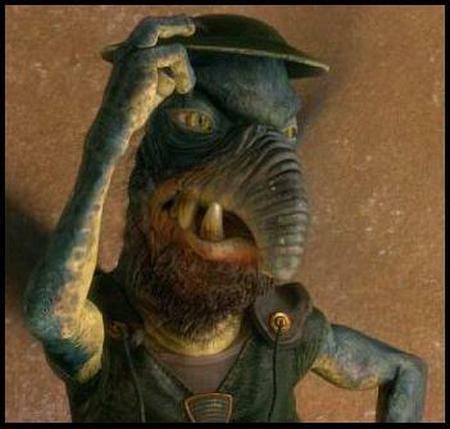 And the greedy slave owner Watto is hook-nosed and speaks with a Yiddish accent. Liebovitz is wrong in thinking that the earlier Star Wars movies emphasized tradition. No, they were exercises in nostalgia, romanticized images of the past. And they are profoundly ahistorical, set “a long time ago, in a galaxy far, far away.” The fairytale-like formula stands in stark contrast to the Jewish invention of historical narrative. The events that occur in the Star Wars universe have no connection to our world. How long ago did they happen? What is the connection between their time and ours? Are we the descendants of the human characters in these stories? Are they even human? For this reason, as well as the fact that there is no rationale given for the “futuristic” science and technology, purists argue that these stories are fantasy rather than science fiction. As Jews, we believe in progress toward a better future as well as continuity with the past. The Star Wars universe is as disconnected from our tradition as it is from human history. We can enjoy the films as entertainment, certainly, and I would suggest that also we ought to applaud the more progressive approach associated with Abrams, Johnson, and Disney. 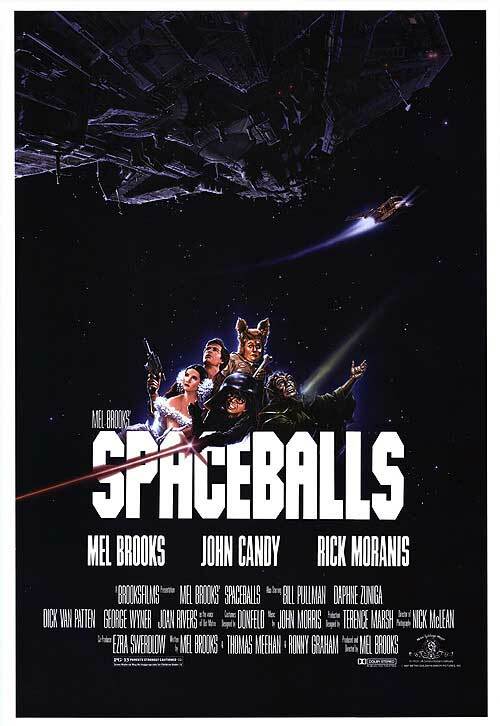 As for a Jewish take on the franchise, I can think of none better than the 1987 Mel Brooks movie Spaceballs, which teaches us to live and let live and not take ourselves so seriously. Some of us were alive to celebrate the birth of the modern state of Israel on May 14, 1948. All of us are alive to celebrate the 70th birthday of the modern state of Israel this spring (the actual date this year corresponding to the 5th of Iyar is April 19). I am sorry that I was not yet born to witness the miracle of Israel’s founding. The ingathering of the exiles, the revival of a Jewish state, the rebirth of Hebrew: Is there a more astounding event in all of Jewish history? What a marvel, after twenty centuries, to be able to board an airplane and eleven hours later touch down in the holy land of a sovereign Jewish state. What a privilege to be able to support Israel wherever we may live. I call Israel “my other country” or “my second home”. It’s not simply because I happen to have dual citizenship, and the fact that my family of five have ten passports. It’s not simply because I studied there, got married there, worked there, served in the army there… in fact all of that was decades ago. It’s because I believe if you are Jewish, Israel is your spiritual homeland, if not your physical one. It’s because you are a citizen of the United States and you are a citizen of the Jewish people. It’s because I believe that if America is your mother and Israel is your father, you should love both your parents. Israel is family. You love your family… and you criticize your family. As I have said before: unconditional love does not mean uncritical love. You love your spouse and children unconditionally; that does not mean that you look away when you think they are wrong. You speak up for their sake; precisely because you care. Yes, we need to work for a more just Israel, inside and out. There is a time for criticism… but not at the expense of celebration. We will read every response at our special Yom Ha’atzmaut (Israel Independence Day) Shabbat service on April 27. Our goal is 70 statements for Israel’s 70 th birthday! We’re throwing a party… Join the Celebration!